On 7th June, China (GuangDong)—Israel Economic and Trade Cooperation Conference was held in Israel, Mr. Hu Chunhua, the Secretary of Guangdong provincial party committee, led the Chinese delegation to attend the conference in Tel Aviv, Israel. Mr. Eli Cohen，Minister of Economy and Industry in Israel and Mr. Zhan Yongxin，Chinese Ambassador in Israel gave a speech. During the conference, Guangdong province and Israeli enterprises signed 21 cooperation projects and agreements, which worthy RMB 1.465 billion. Secretary Hu Chunhua emphasized in his keynote speech，it is an opportunity to develop the cooperation of economic and trade between China and Israel. Both sides need to improve the mutually beneficial cooperation and expand the cooperation area, in further creating more opportunities for investment and trade to pursue win-win result. As President Xi Jinping emphasized the consensus in the “One Belt and One Road” International Cooperation Summit. Guangdong province is a pioneer of the economic and trade cooperation and innovation. 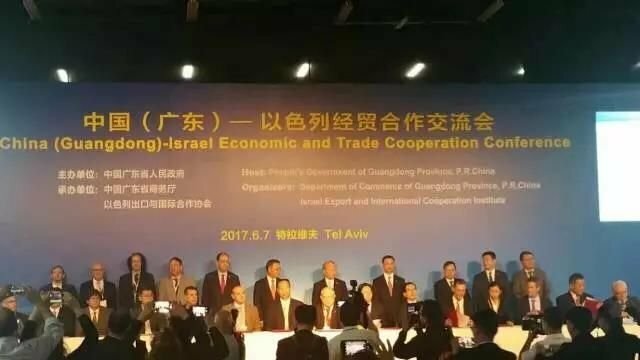 Guangdong Province will make more contributions to enhance friendship between China and Israel, reinforce the cooperation of technology innovation, as well as advance the level of economic and trade cooperation, and deepen the intelligent manufacturing, agriculture, life sciences, bio-technology and other areas. Mr. Zhan Yongxin, Chinese ambassador in Israel, was scheduled to address. He said, 2017 remarks the 25th anniversary of China-Israel diplomatic relations. China attaches highly importance to the relations with Israel. Both sides have frequent interactions in political and economic field. Bilateral relations have entered a healthy and steady development track. Today, as a country characterized by high-tech innovation and entrepreneurship, Israel regards high-tech product development as the core. Besides, Israel and China also constantly strength the cooperation in high-technology field, to steadily improve cooperation mechanism construction. Increasingly more cooperation projects of China and Israel are now unfolding. In the following seminar of Israel investment and innovation development, Mr. Guo Yuanqiang, Secretary of the CPC Zhuhai Municipal Committee, Mr. Chen Liangxian, Secretary of the CPC Shantou Municipal Committee, and Mr. Hovav Ref, Senior Director in Ministry of Economy and Industry respectively introduced the third session of INNONATION, China-Israel cooperation cases, and investment climate in Israel. After the meeting, there were almost 70 companies in Guangdong and over 200 local companies eagerly taking part in B2B, including robot technology, incubator cooperation, automobile and components, aviation, biomedical and other sectors. Guangdong is implementing innovation-driven development strategy, devoting to making itself an innovation center of national technology industry. Meanwhile, Israel is globally known for its innovation. China and Israel have a bright future to cooperate. Both sides hope to implement the agreements made by the two governments, reinforcing the interaction in innovation, economy and trade, tourism, infrastructure construction and other fields to create the win-win development. This conference is sponsored by the Guangdong municipal government. Mr. Zhen Jianrong, the head of Guangdong Provincial Department of Commerce chaired the conference. Mr. Wen Guohui, the mayor of Guangzhou performed the presentation. In addition, the project signing ceremony was held at the scene. Before the conference, Secretary Hu Chunhua, together with Minister Eli Cohen met with Mr. Amir Gal Or, Infinity Founder, Mr. Amos, the founder of incubator, and Ms. Toel Dahan, CDO of Israel Commerce Union Co., Ltd. for appreciating the companies and institutions as a bridge to connect China and Israel, and make positive contributions for the friendship as well as the economic and social development. Ms. Toel Dahan, Chief Development Officer of Israel Commerce Union Co., Ltd.
Against the backdrop of friendship between China and Israel，the exchange and cooperation between Guangdong and Israel gain a good momentum. 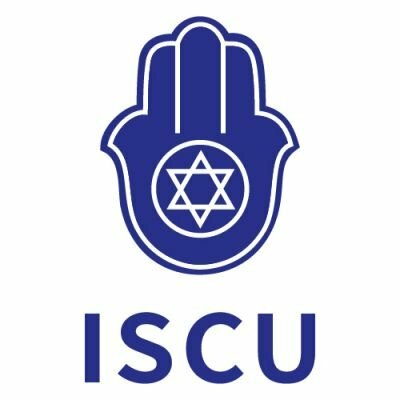 Based on its preponderant channel resources on the development of Israeli science and technology, and sufficient proficiency of Chinese business market operation, ISCU is devoted to providing resources matching channels with strategic values, penetrating market research and project feasibility study. Israel Commerce Union Co., Ltd will play a significant role in enhancing cooperation level of both sides.